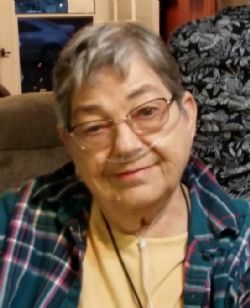 Funeral services for Marie Cook, age 83, of Jones Creek will be held at 2:00 p.m. on Friday, February 15, 2019 at Lakewood Funeral Chapel with Brother Brent Pittman officiating. The family will receive friends at Lakewood Funeral Chapel at 1:00 p.m. on Friday, February 15, 2019. Marie was a stay at home mom where she raised her four children, then went to work and retired from Board of Pardons and Paroles. Her children kept her busy with three daughters and one son doing things from softball, volleyball, baseball, Boy Scouts and Girl Scouts in which she had a big hand in starting the first Girl Scout group in Freeport in 1963. She was a member of the Pythian lodge of Houston. She was a member most of her life at the First Baptist Church in Freeport till she moved and became an active member of the First Baptist Church in Jones Creek. Marie enjoyed fishing, gardening, crabbing, camping and the beach. One of her prized hobbies was painting along with her sister and friends in the Brazosport Art League. She had her hands full from her kids, all the way with great-great grandkids in which she enjoyed every minute with them. The family would like to extend special Thank You to Swango Lawn Services. She joins her husband, Ray Cook Sr.; her daughter, Donna Jean Cook; sisters Claudia Willeford and Ruby Karl; brother, Larry Blackstock; and her parents, Claude and Thelma Blackstock. She is survived by her sister, Barbra Wishert and husband, Bobby; daughters, Cindy George and husband, Donnie, Carol Azlin and husband, Tim, Samantha Kay and husband, Brandon and Brandy Reckaway; son, Ray Cook, Jr. and wife, Eddie; grandchildren, Jay Danford, Justen George and wife, Brooke, John Fairchild and wife, Renee, Brittany Fairchild and husband, Jason, Amber Cook, Walker Cook, Emily Azlin and husband, Dylan, Sarah Azlin and Calvin Dixon; with many great-grandkids and great-great grandkids. Pallbearers will be Brian Reese Russell, Calvin Dixon, Dylan Radford, Jay Danford, Justen George, Gary Karl and Terry Karl.